Event USA is the Official Travel and Hospitality Provider of Lambeau Field College Classic. 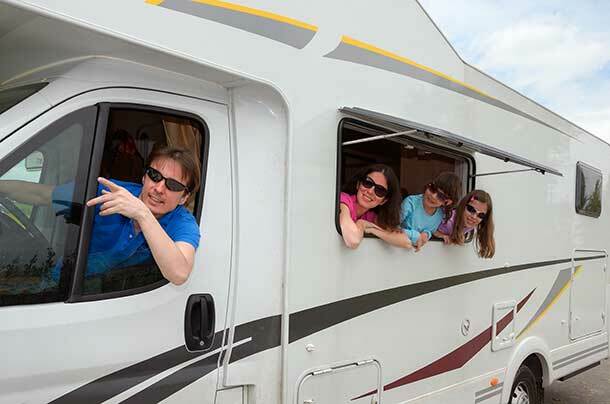 Our RV packages are now available! Featuring a large RV spot on the grounds of the Tundra Lodge Resort, our packages come with a 2- or 3-night parking permit with plenty of room to hang out before or after the game. A sewage pumping truck will be available to pump holding tanks for an extra fee. Please contact us for availability on resort services, breakfast, and more. If you are towing a trailer/car with your RV or the vehicle is towing your living space (such as a camper), you’ll need to purchase an additional parking spot to park your vehicle or trailer. 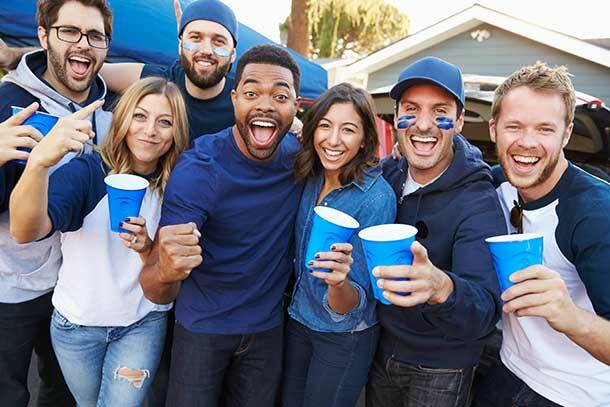 Our RV packages do not include our unlimited food and drink tailgate party but you can add it onto your RV package. Just select which tailgate you prefer when you check out. Have a big RV or truck? Let us provide the transportation to Friday’s Pep Rally and skip the taxi. Our entertainment package also includes our unlimited food and drink tailgate party. Availability and pricing subject to change. Please call (920) 438-1650 for details. 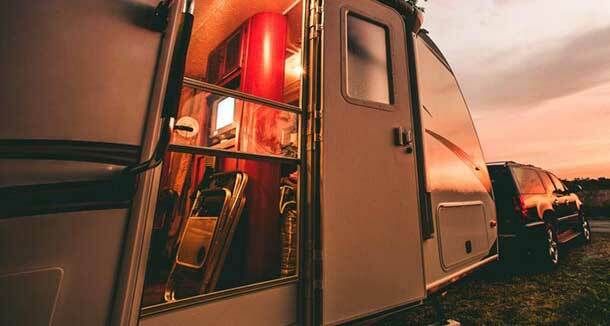 This package is subject to our terms & conditions which also incorporate additional provisions for RV Site Usage. Our pricing per night is the same regardless of the size of your RV, but you must indicate the length and width of the unit when you order. If you are pulling a trailer we need the total length with RV & Trailer combined (or vehicle + camper combined). If you are towing a car/trailer or your vehicle is towing your living space there is an extra charge for parking—please see Vehicle Parking above. Sliders may only extend a maximum of 3 feet. There will be no water or electrical hook ups available. No pets will be allowed. Suggested kennel info is available. No generators may be run between 7 PM and 9 AM. No sanitation dumping allowed on site (but pumping truck will be available for a fee during designated hours). Noise curfews for the courtesy of all will be imposed. No liability for damages, injuries, theft or related occurrences while on the premises. Additional terms and conditions for RV usage apply. Game Tickets are not included in these packages. Instead, if you need game tickets, you can customize your package by choosing your game ticket from virtually any area of the stadium. After you add the package to your cart, you will be prompted to choose game tickets.